Blood clots can form in anyone, but there is higher possibility of formation during your stay in hospital as your body movement is relatively low. Undoubtedly, wearing anti-thrombotic stockings prevents you from suffering DVT. TED / anti-thrombotic stockings are leg apparel that help to improve blood circulation in the leg veins by the application of graduated compression. Compression stockings are fabricated from special formulated and highly elastic fabric. This apparel applies the tightest pressure at your ankle area. However, the graduated compression will gently squeezes your leg muscles and vein walls, which improves the movement of body fluids and bloods in your legs. Inevitably, compression stockings could be of your helps in reducing leg pain. 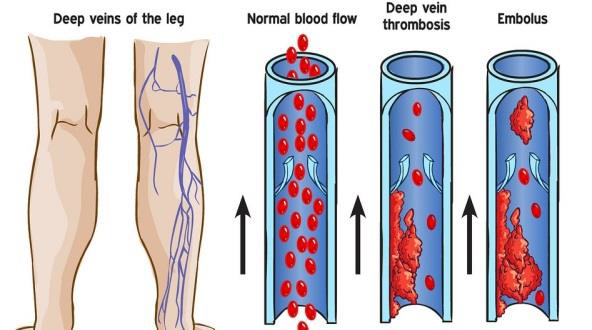 Deep vein thrombosis (DVT), occurs when a blood clot, or thrombus develops in the large veins of your legs or pelvic area. Some DVTs may cause no pain, but others can be quite painful. If DVTs are identified and treated early, very few are life threatening. ​Obtain advices from doctor or therapist about whether compression stockings would help you. If you have a blood clot developed in your leg and/or you are having problems with leg pain and swelling, your leg may feel better if you wear the stockings. Wearing compression stockings also may help to prevent DVT. ​The level of tightness in compression stockings is measured in millimeters of mercury (mm Hg). Our stockings are fall under moderate compression of 15-21 mmHg. Your health care provider will able to provide necessary compression level upon your prescription.